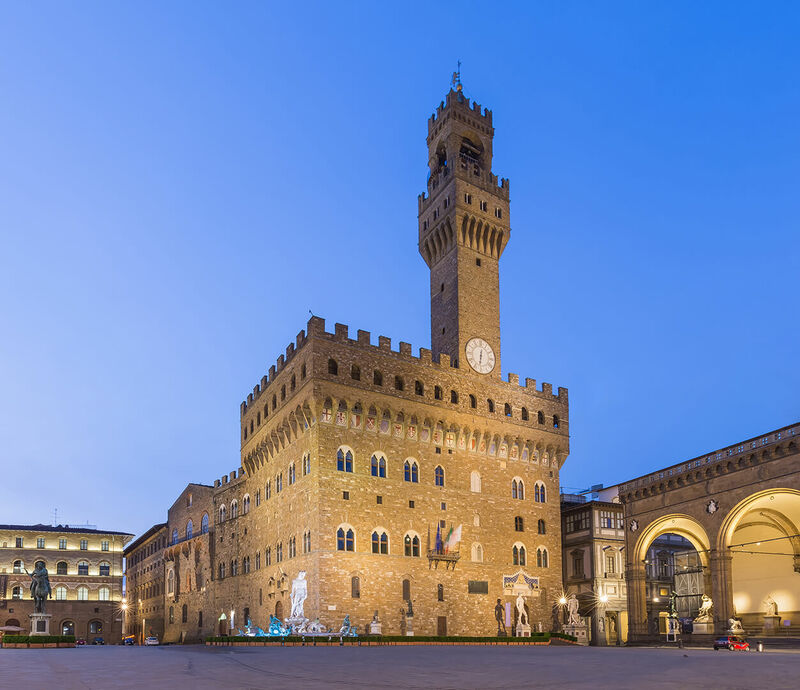 Located in the original core of Palazzo Vecchio, dating from the early 15th century, the great Sala dei Duecento was conceived to house Florence Council meetings. 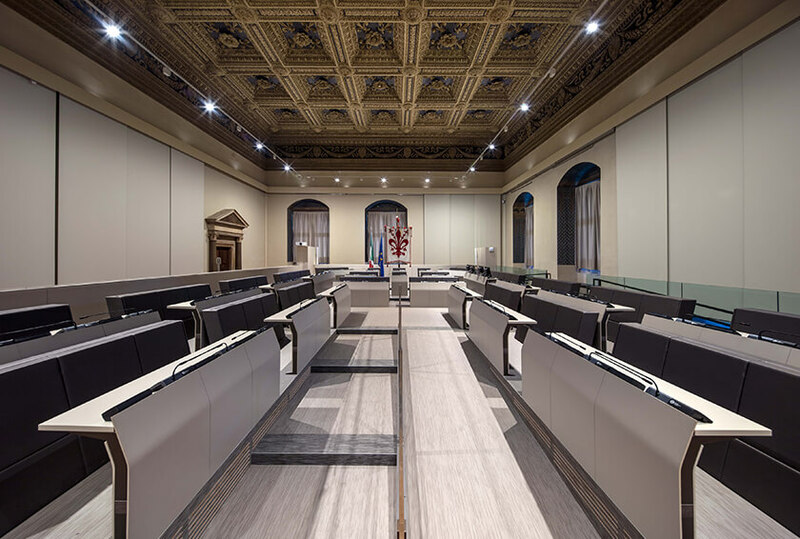 Originally called Sala del Popolo or del Comune, the room took its current name in the 16th century, when the Duke Alessandro de’ Medici reformed the Council by bringing the total number of members to two hundred. 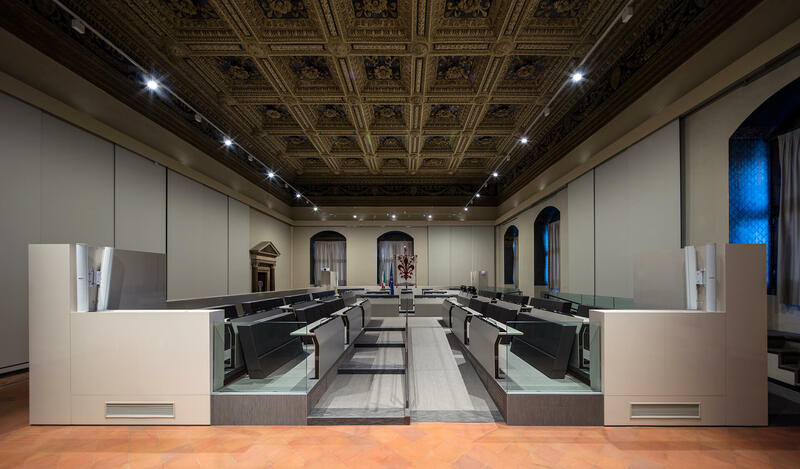 The historical site has recently been renewed to arrange the assembly according to the English model, a layout that allows visitors to admire the perimeter mullioned windows and the Bronzino and Pontormo tapestries over the walls. 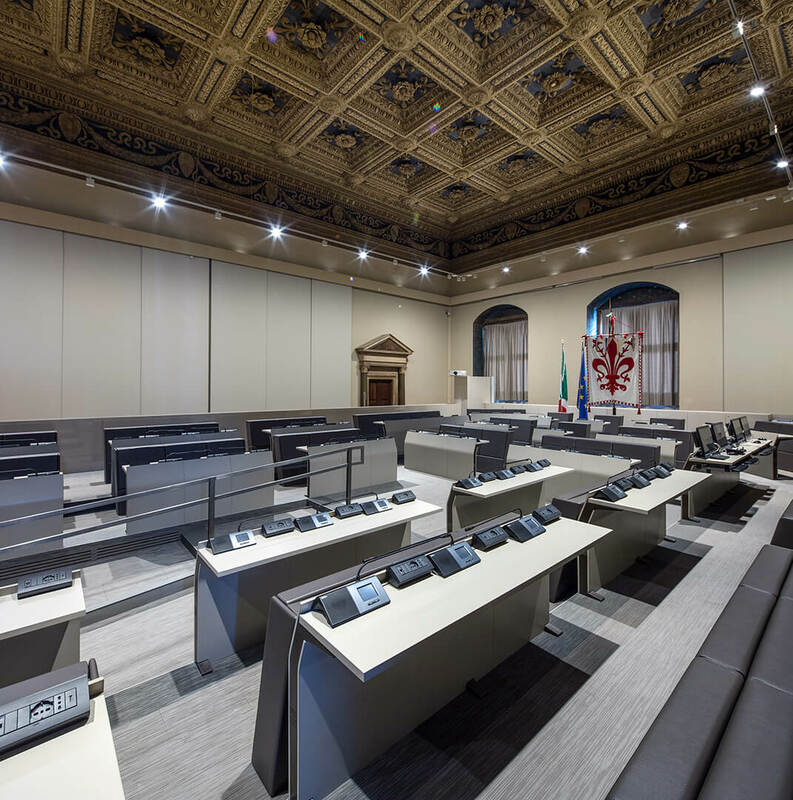 In this way, the room takes on a museum-like dimension, while maintaining the intended use of City Council Assembly. The room technological devices are based on domotics, which allows the employment of different “sceneries” depending on the space use so as to control air conditioning, sound and lighting systems, but also tapestry lift system and window shading. The 65 Council seats and benches, as well as 36 public chairs, all created by LAMM, have been chosen for the essential design aligned with a sober contemporary taste and their great ergonomic and functional performances. Genya armchair, designed by Dante Bonuccelli, is characterised by a minimalist elegant style and a compact shape when closed, with its components hidden within the volume, while seat and arms open, if needed, with a cushioned closure synchronized patented movement. 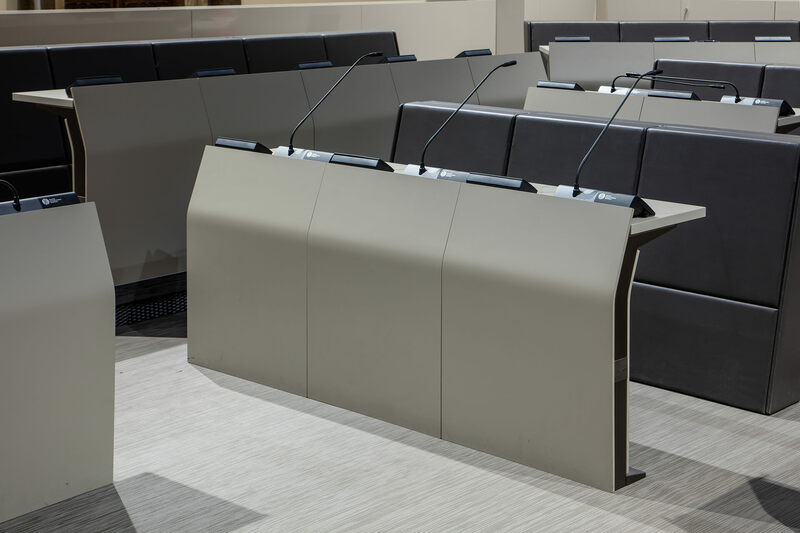 Every seat combines with a custom E5000 study bench, with double closure panel, provided with electric power supply, an electronic vote keypad and a microphone. Both products have been installed on a platform, supplied by LAMM too, with rustproof tubular iron structure and walkover flooring in plywood panels coated with laminate on either side.